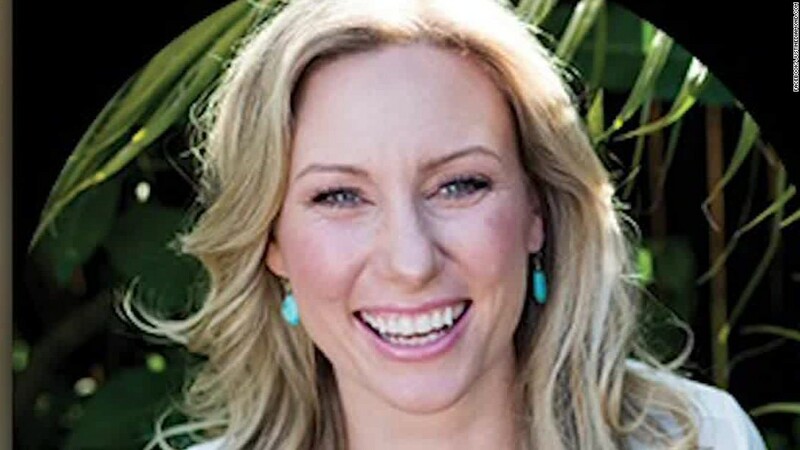 (CNN) On the shores of a picturesque Minneapolis lake, family and friends of Justine Ruszczyk shared hugs and listened to music at a public memorial to remember the Australian woman fatally shot by police last month. Many of those gathering at Lake Harriet Park in southwest Minneapolis for the sunset memorial wore blue, Ruszczyk’s favorite color. The sound of two didgeridoos being played next to the Australian flag highlighted Ruszczyk’s heritage. Plans called for luminarias and a silent walk around the lake at the end of the memorial. 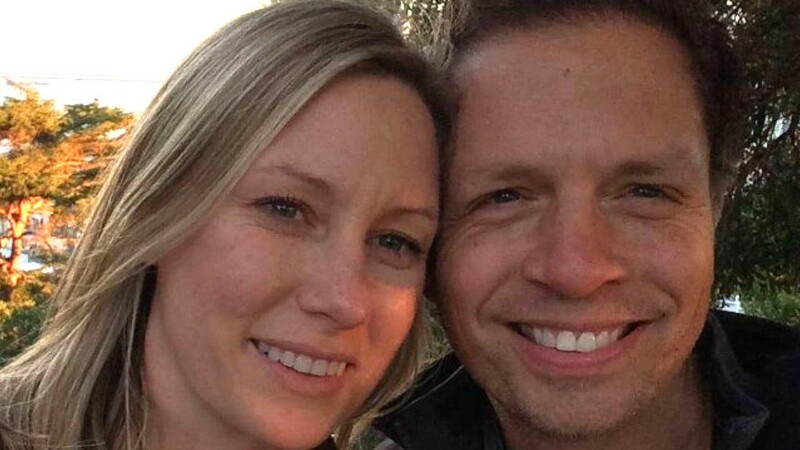 Ruszczyk’s fiance, Don Damond, said the two were planning to marry next week. Ruszczyk, 40, called 911 late July 15 to report a possible sexual assault in the alley near her home. Less than 30 minutes later, she was dead from a gunshot wound to the abdomen, having been shot by one of the two police officers who responded to the call. Officer Matthew Harrity told investigators that he drove to the scene and was startled by a “loud sound” near the squad car, according to Minnesota’s Bureau of Criminal Apprehension. Immediately afterward, Ruszczyk approached the driver’s side window, and Harrity’s partner, Mohamed Noor, shot Ruszczyk through the window, Harrity said. A search warrant from Hennepin County District Court obtained by Minneapolis Public Radio suggests that startling sound may have been Ruszczyk slapping the patrol car. Noor declined to be interviewed by investigators, and his attorney did not clarify when if ever he would give an interview. Investigators cannot compel him to give an interview. Both Harrity and Noor are on administrative leave amid the investigation into the shooting. “Justine, my daughter, was killed by a bullet fired by an agent of the state,” John Ruszczyk said at the memorial. “I don’t understand. I should have been on a plane to her wedding (rather than) flying to her funeral. 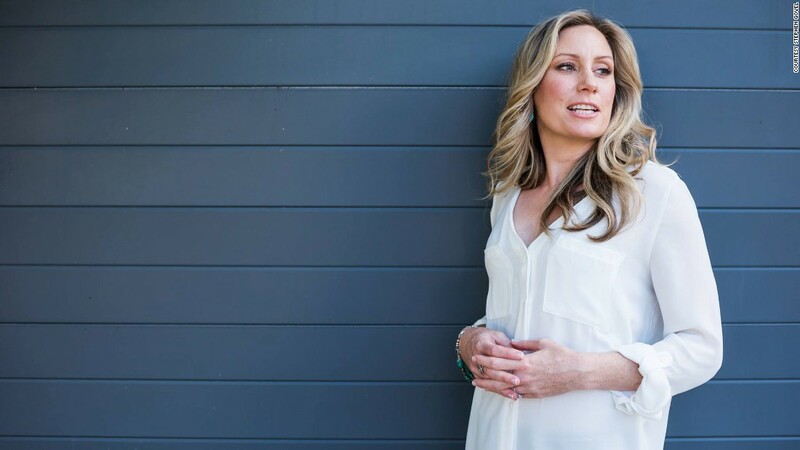 Though she was a veterinary surgeon in her native country, Ruszczyk worked as a spiritual healer, yoga and meditation instructor and life coach in Minnesota. Friday’s memorial was hosted by the Lake Harriet Spiritual Community, the organization where she worked. Her friends have said the concern Ruszczyk showed that night for a possible assault victim was characteristic of her caring nature. Video of Ruszczyk rescuing a group of ducklings from a storm drain, carrying them out in her skirt and reuniting them with their mother nearby, was another example, friends and family have said. They showed the video at the memorial. Damon said Ruszczyk, despite being very dirty from the sewer, was overcome with happiness after helping the ducks. Her father said Ruszczyk coined the term “fuzz therapy” to describe the joy she got from animals. “She might say to someone, ‘You need fuzz therapy,'” he said. Though the officers were wearing body cameras, they did not turn them on before the shooting, and the squad car camera did not capture the incident, investigators said. That lack of video evidence has frustrated city officials. Late last month, the Minneapolis Police Department updated its body camera policy to require officers to activate them upon being dispatched. Ruszczyk’s death has caused outrage in the United States and Australia and led to the resignation of the city’s police chief. “We seek justice for Justine, we are determined to get justice for Justine — because in getting justice for her, we’ll be getting justice for all of us,” he said.